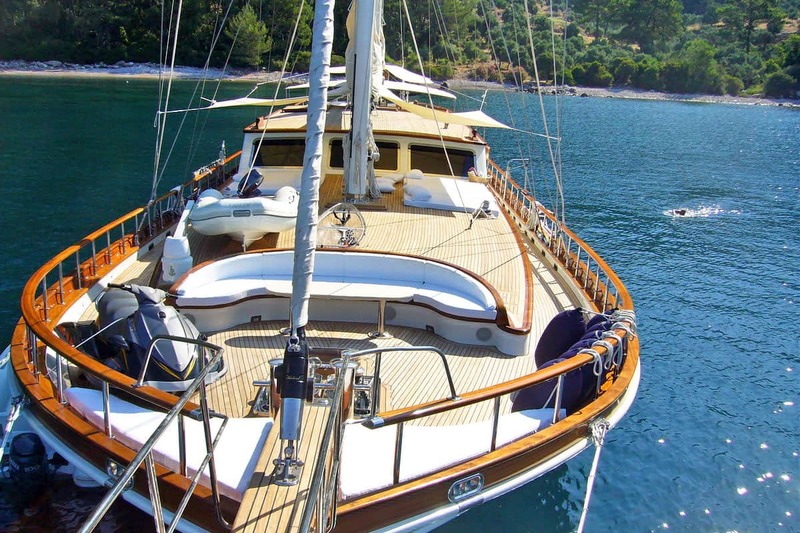 Gulet Kaya Guneri 5 is one of the most luxurious gulets in Turkey. 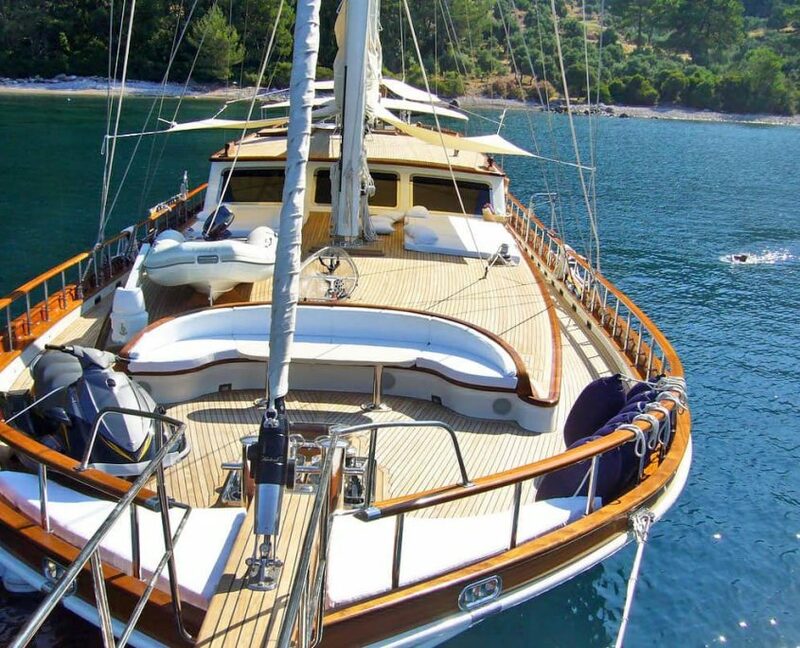 She has a beautiful shape and inner decoration. 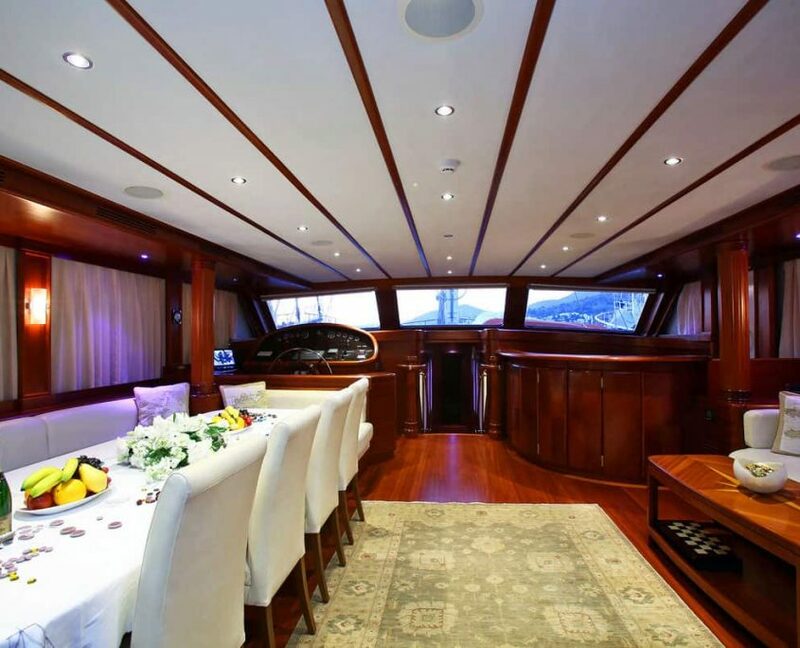 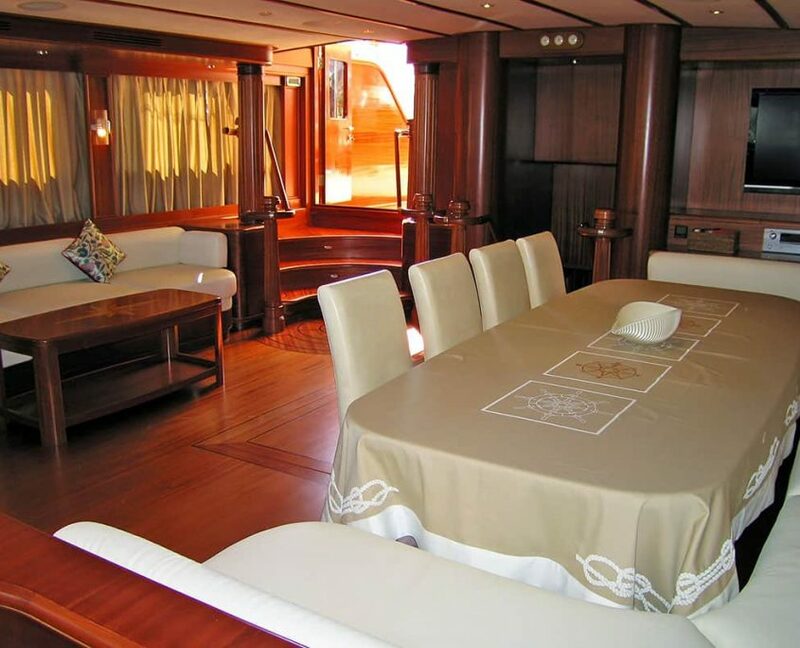 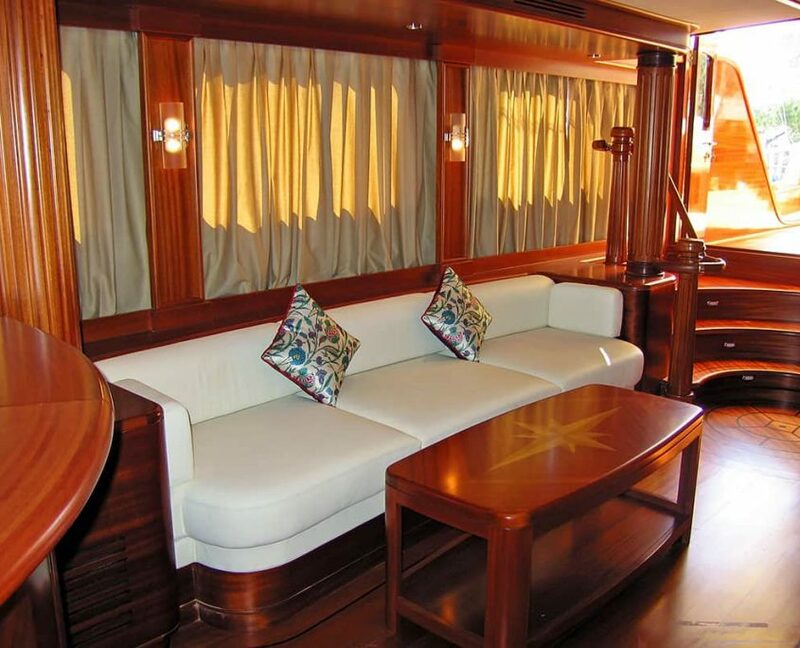 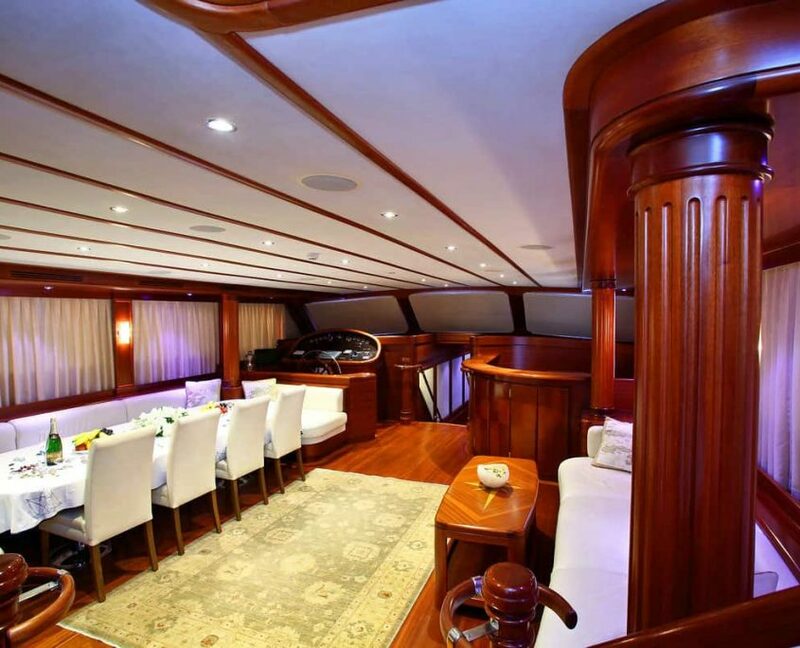 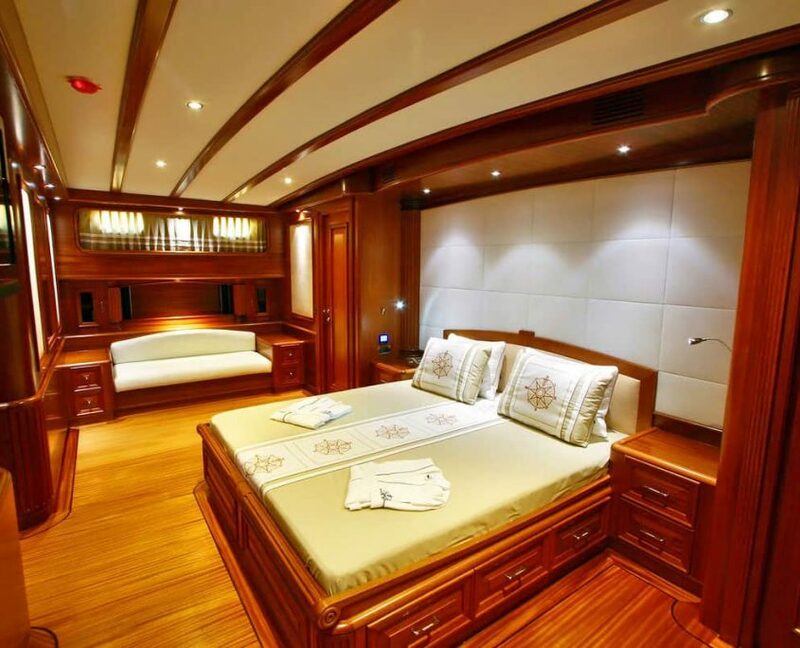 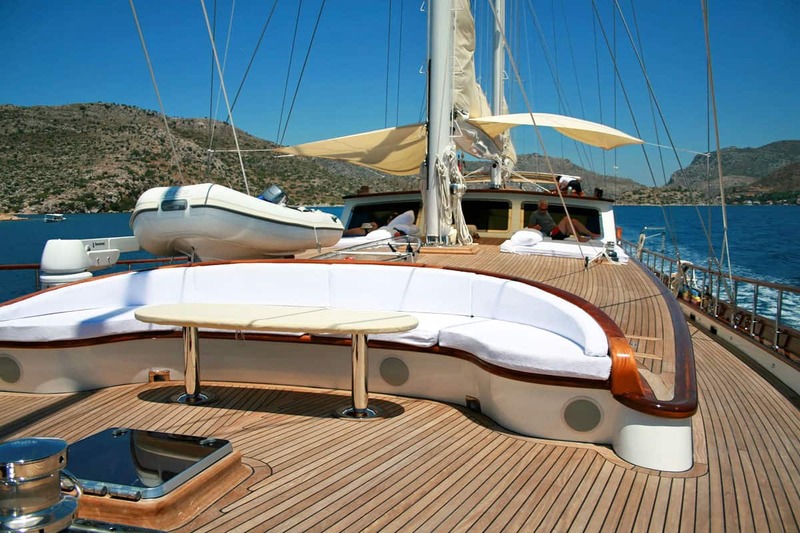 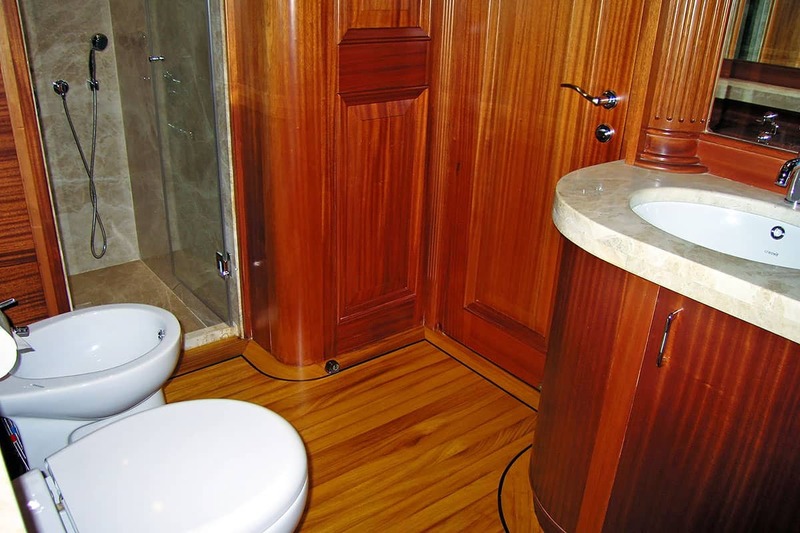 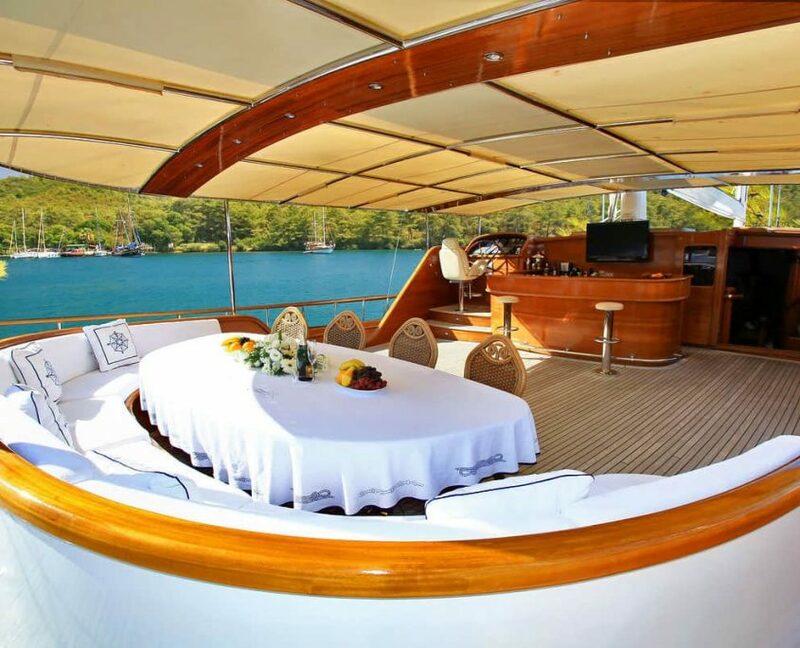 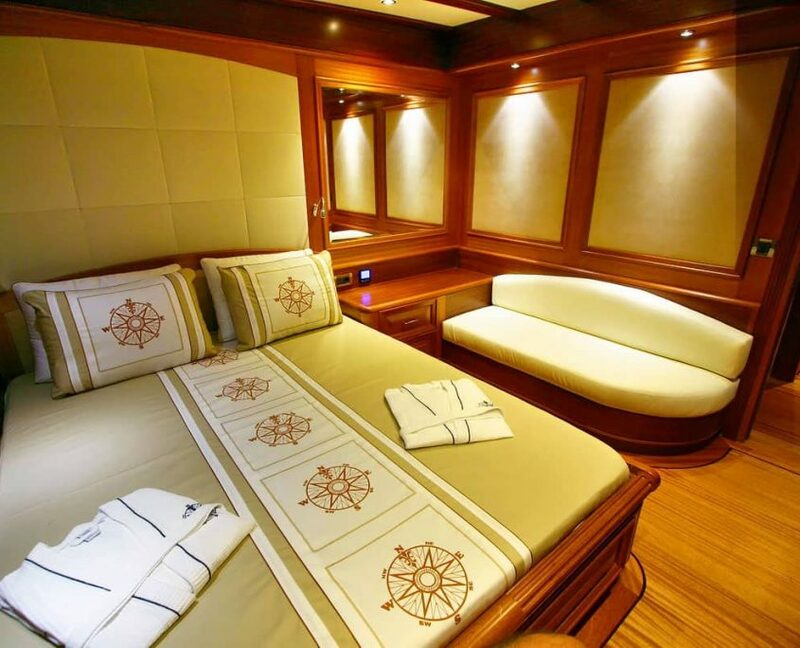 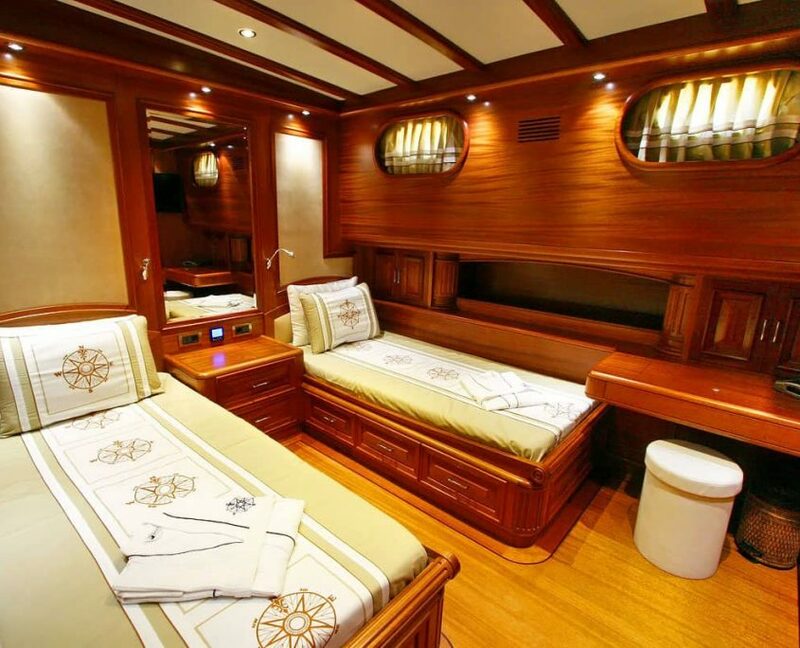 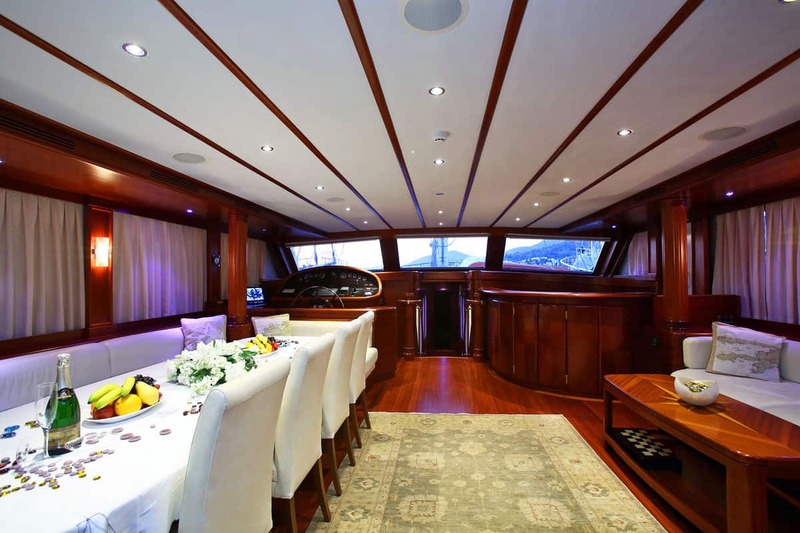 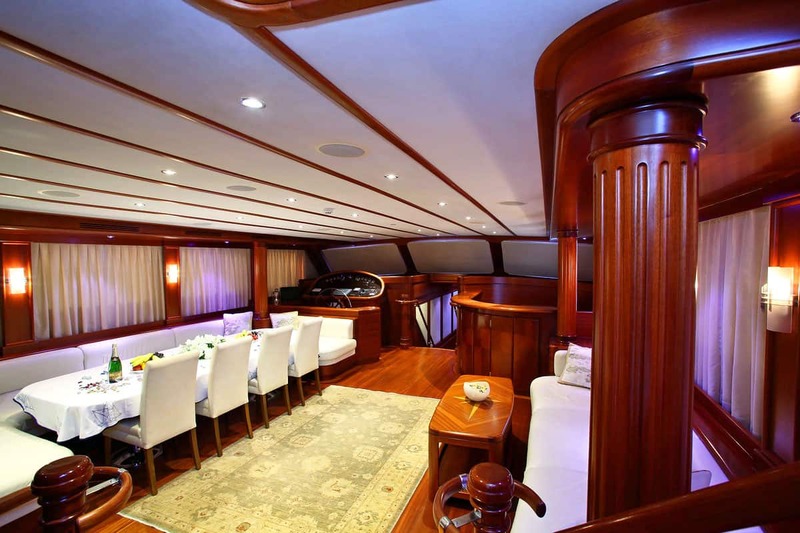 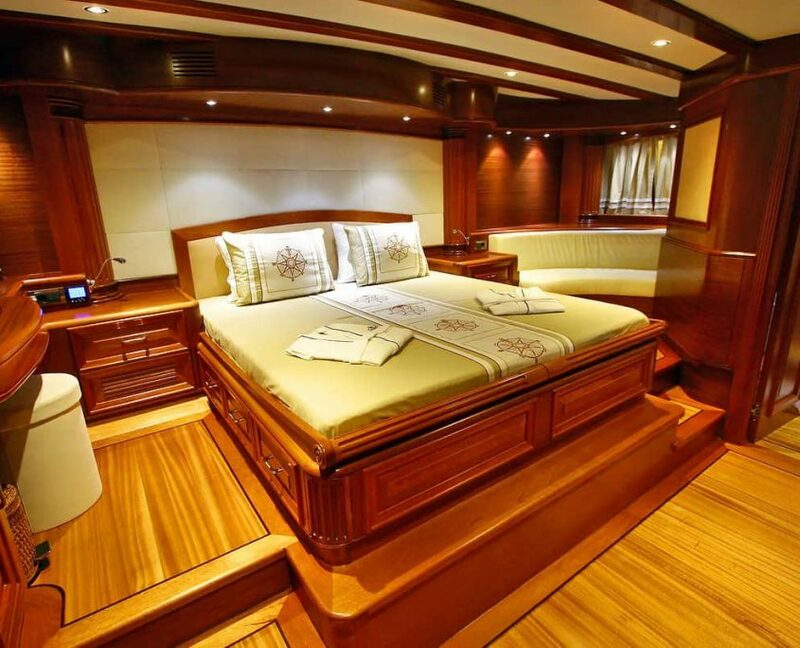 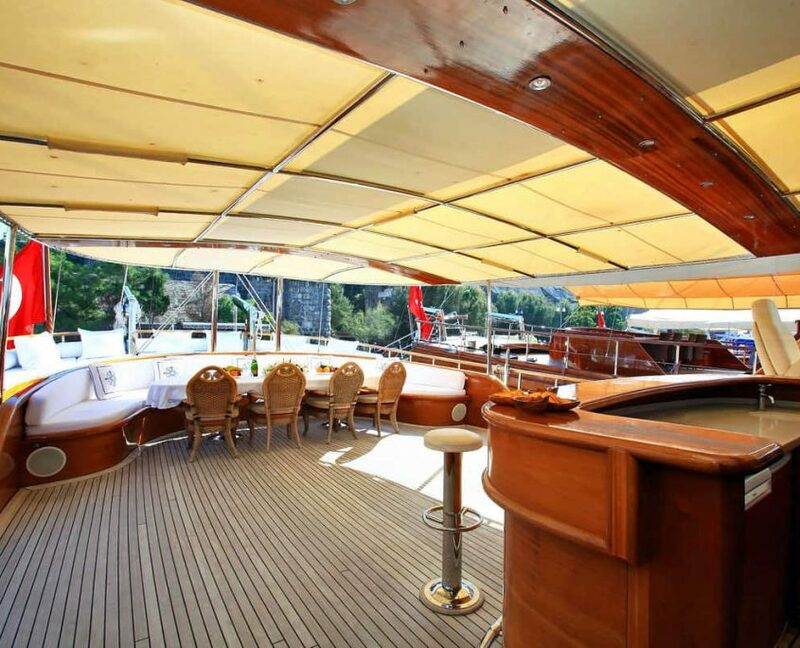 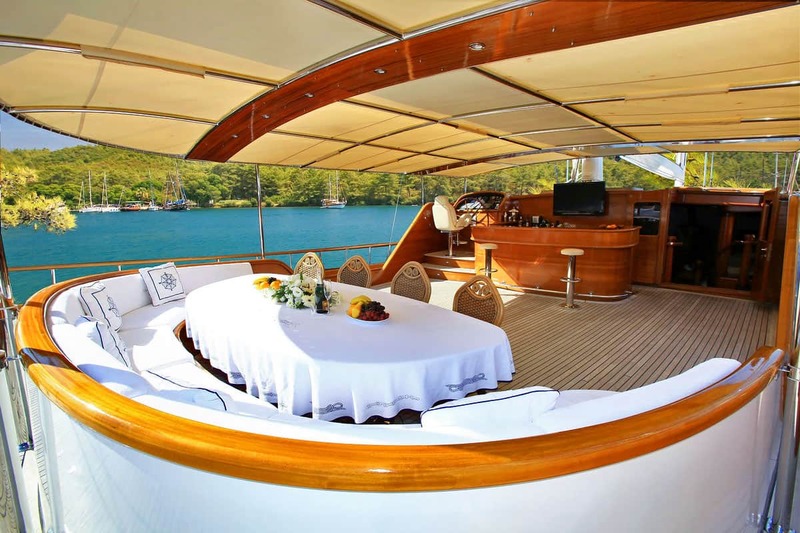 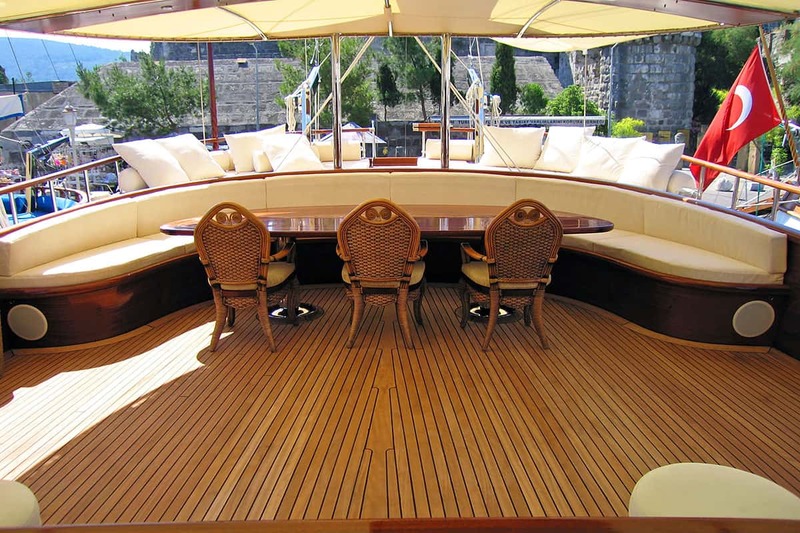 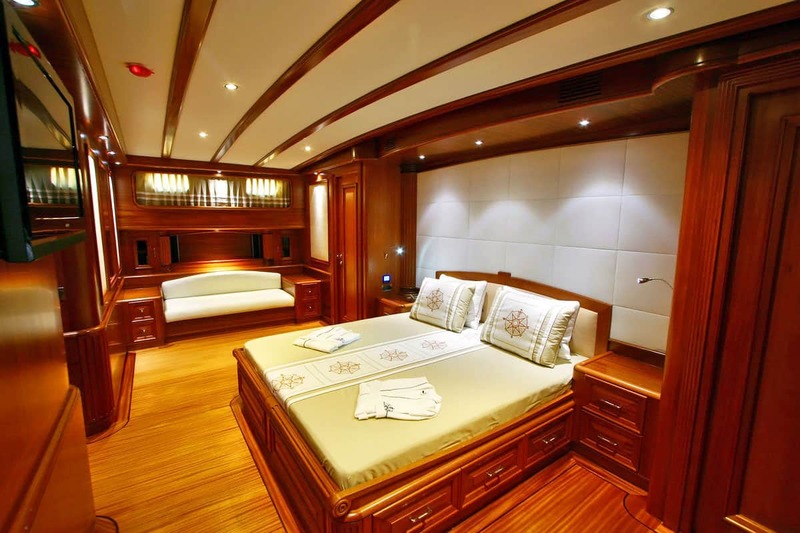 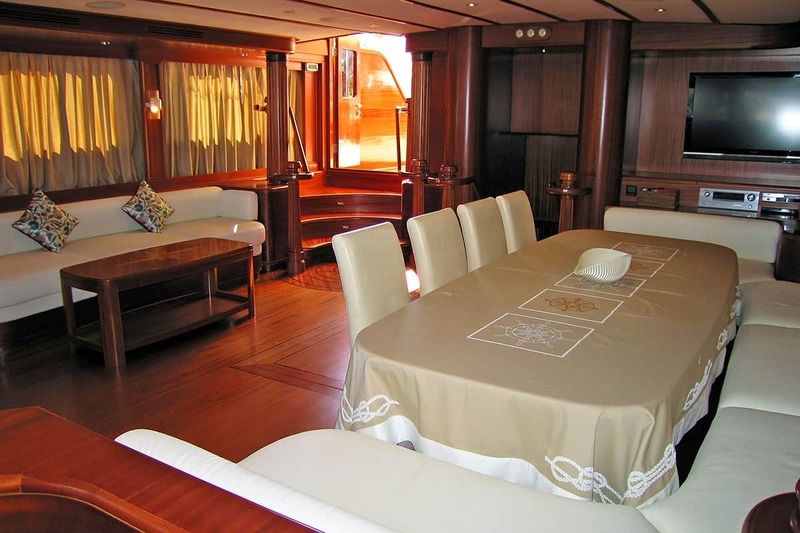 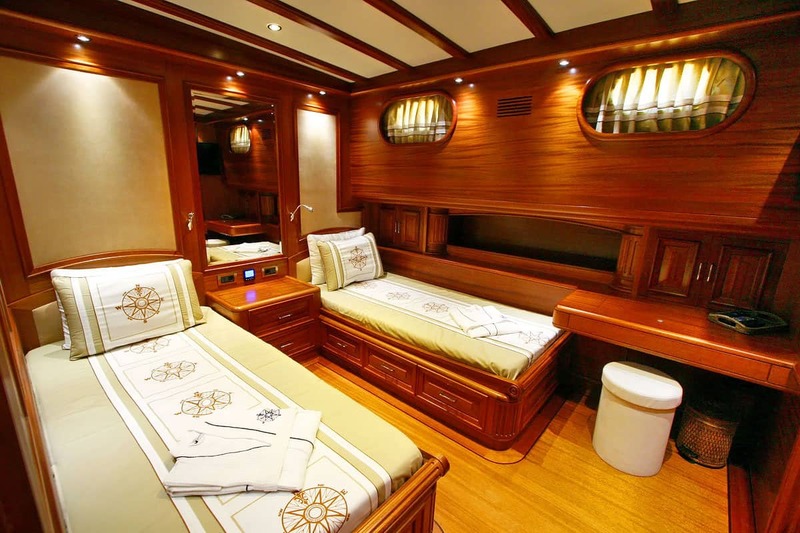 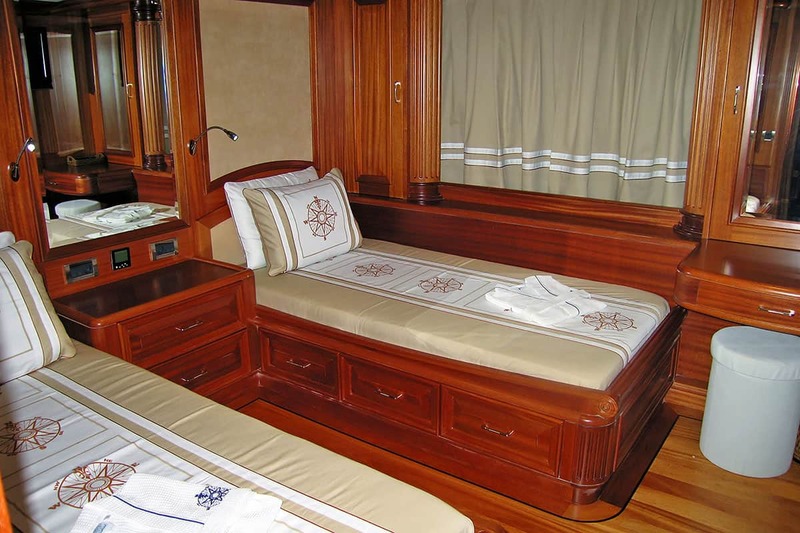 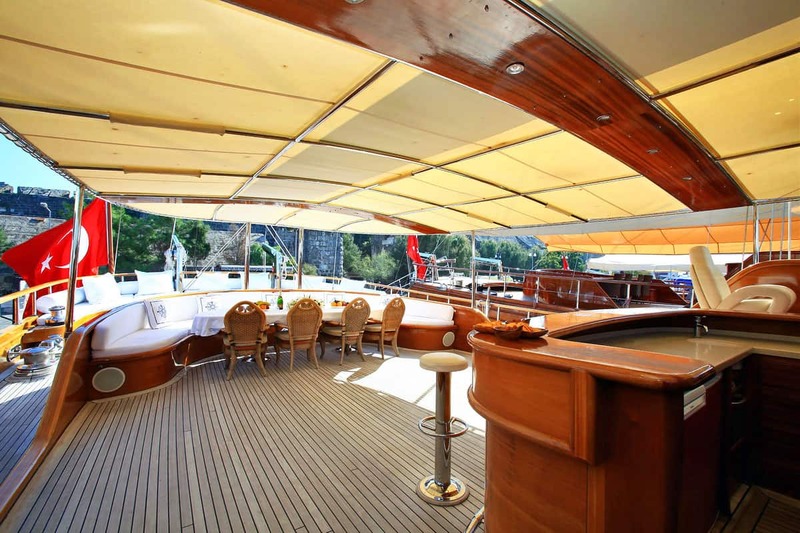 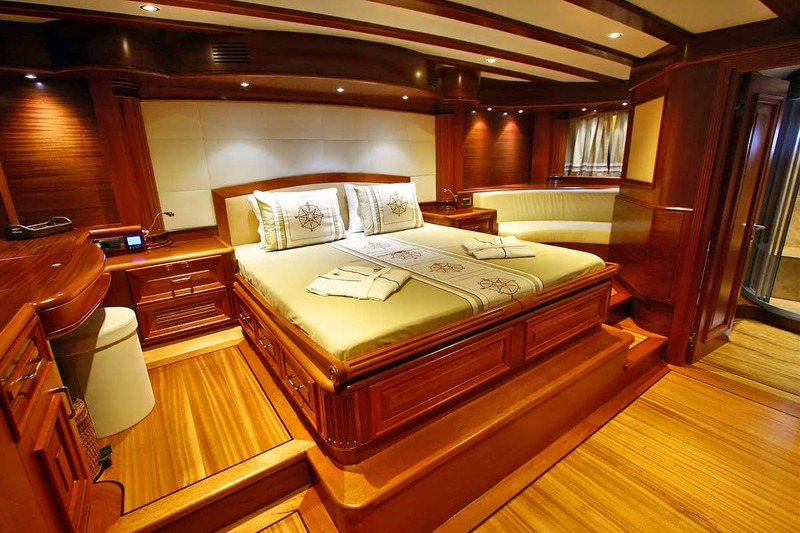 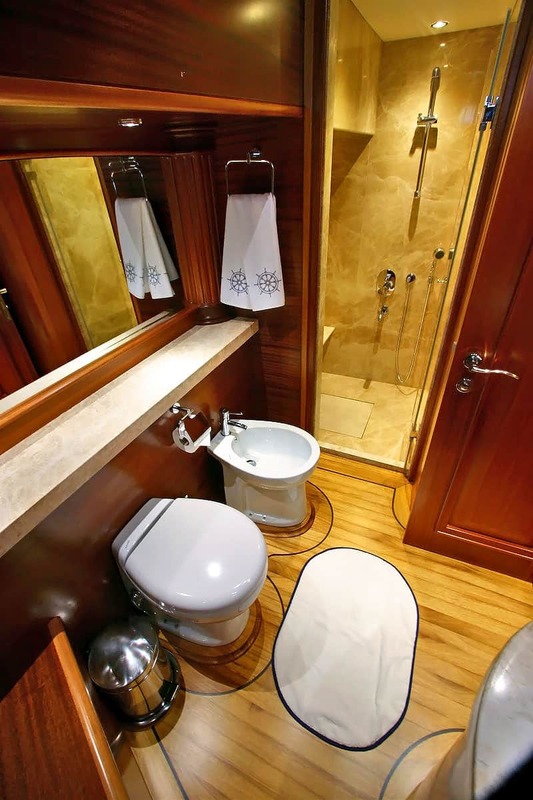 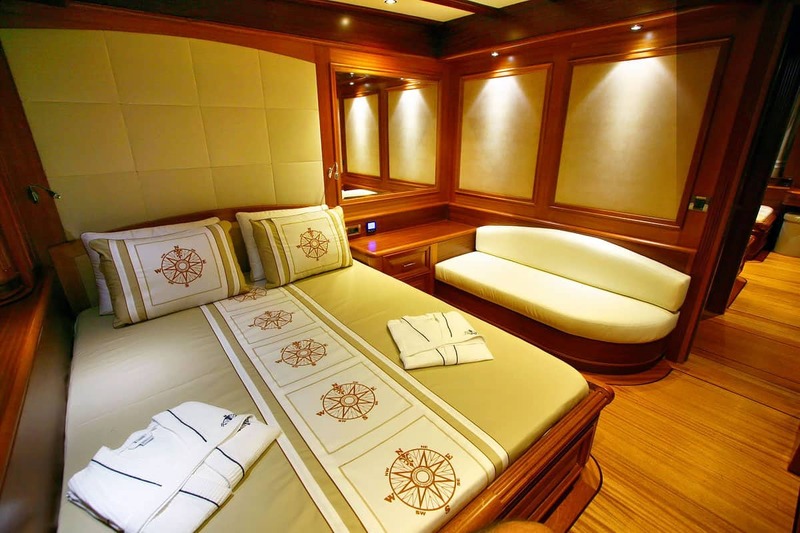 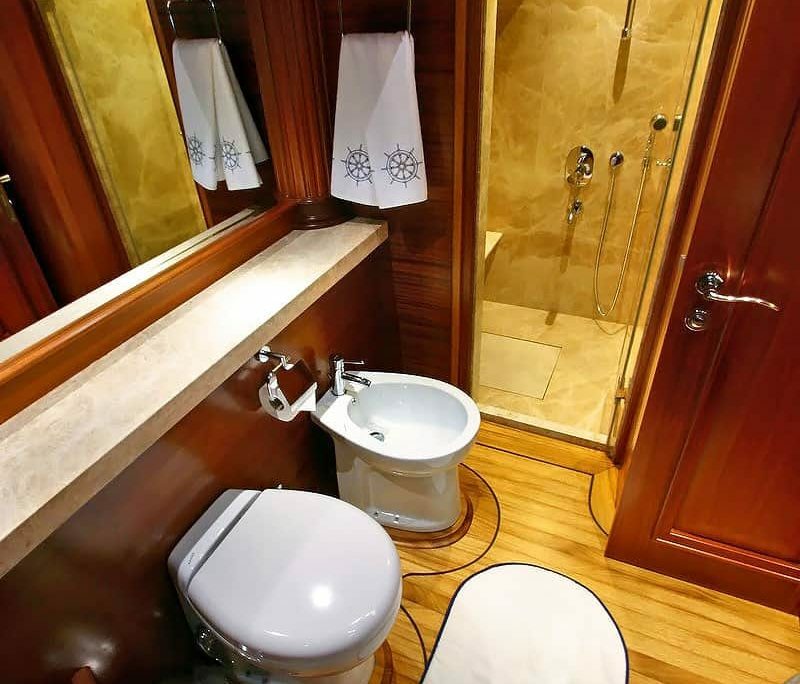 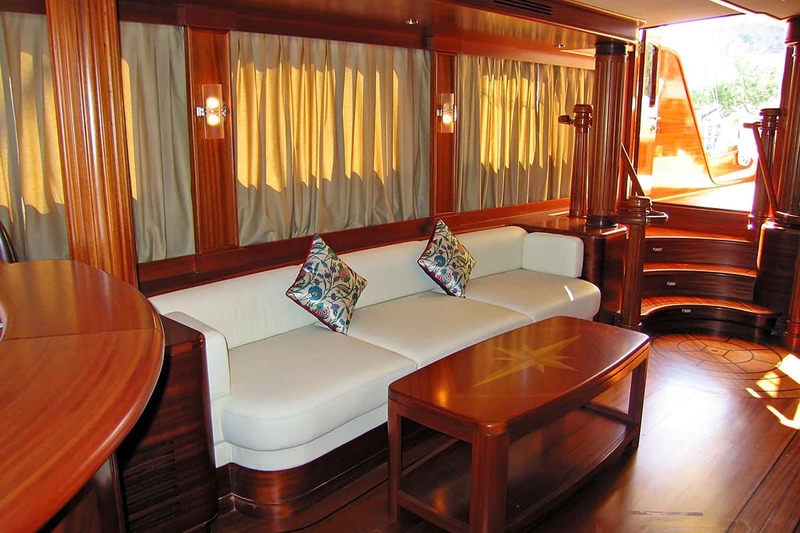 Gulet can accommodate up to 12 guests in 6 cabins. 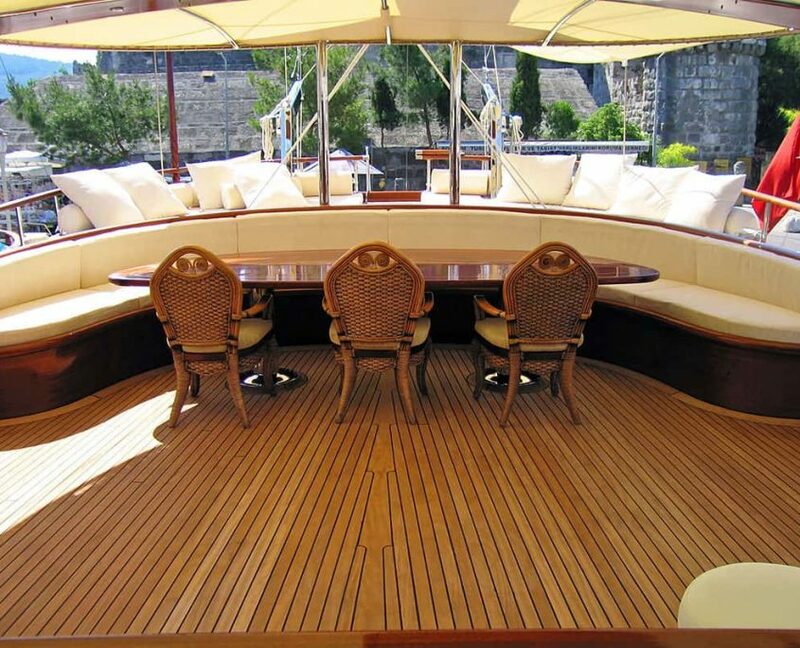 On board there will be 6 crew members at your disposal during the cruise. 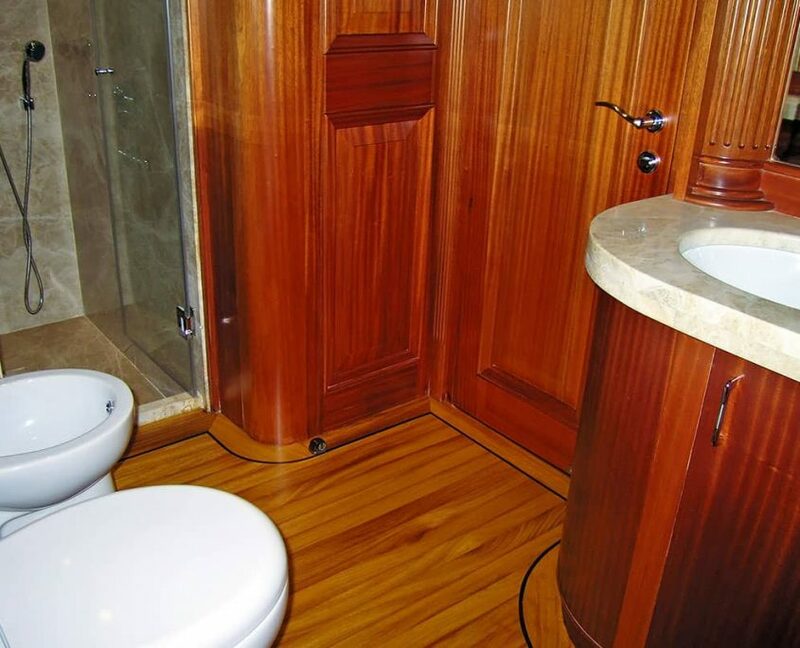 Her captain has more than 10 years of experience. 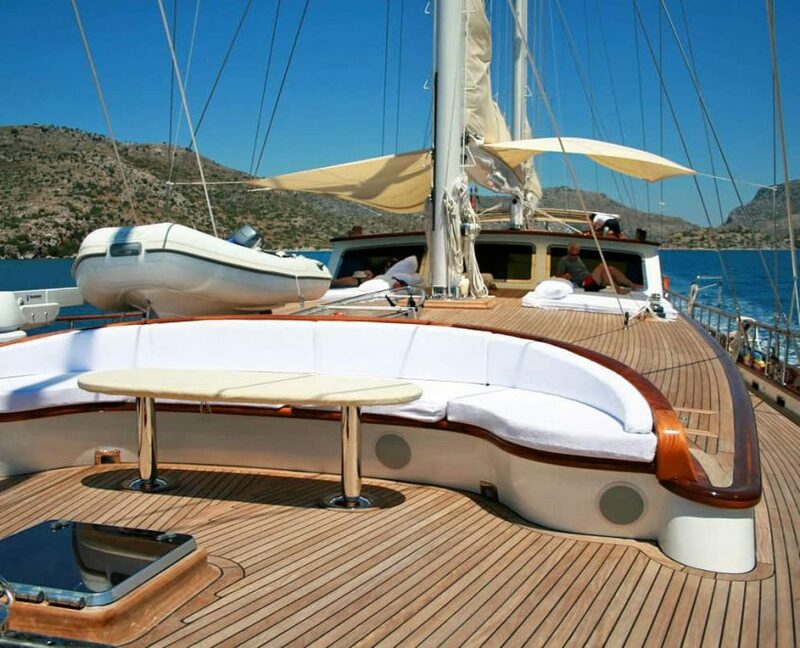 enormous water toys, great crew. 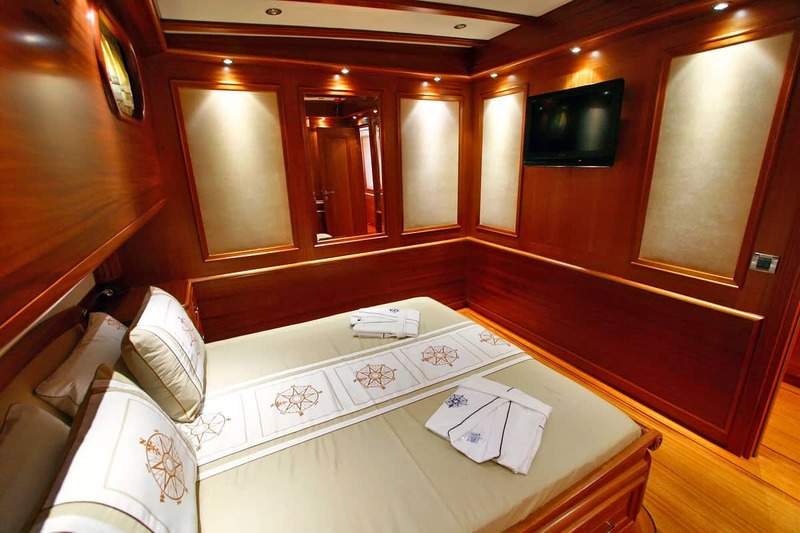 Can accommodates up to 12 passengers in 6 cabins. 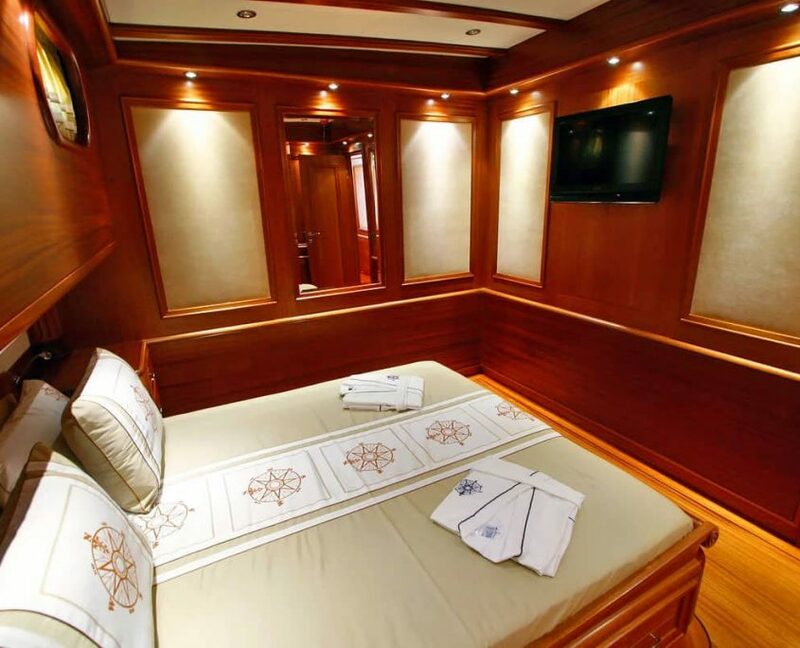 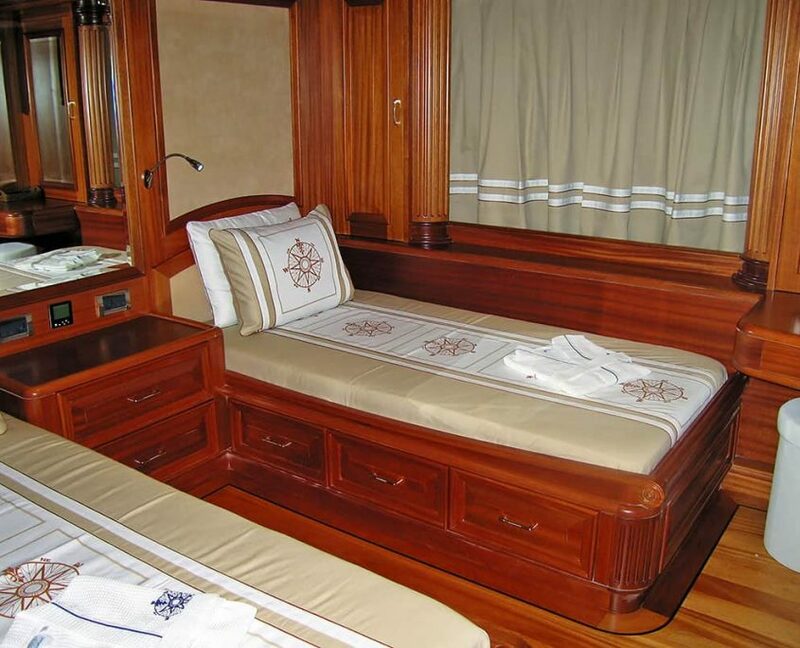 All cabins are equipped with TV / DVD and stereo systems.